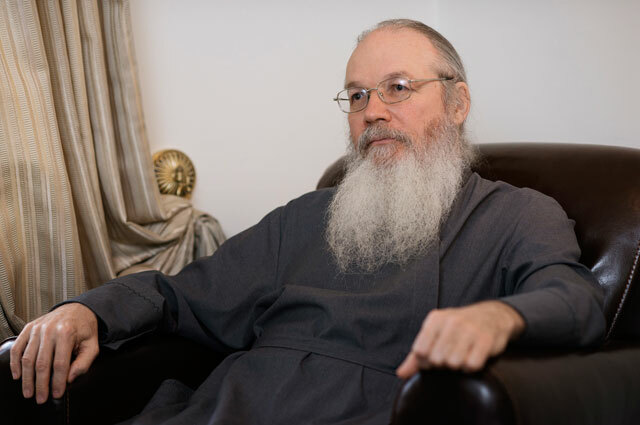 According to Bishop Pankratiy of Troitsk, Abbot of Valaam Monastery in St. Petersburg, the internet is a challenge to modern monasticism. In a recent interview with the Bishop, he called Smartphones a temptation for monastics, stressing that "the image of the bitten apple reminds us of the days when Adam and Eve ate the apple and sinned before God." "They who become monastics leave worldly things behind, but when monastics have Smartphones in their lives, then they return back to the world," stressed Bishop Pankratiy. The Abbot of Valaam said this is a problem in all the monasteries, including Mount Athos. "I know of monks who manage websites, respond in forums, send greetings and comments via social networks; this is absolutely foreign and contrary to the monastic life," noted the Bishop. Elsewhere the Abbot gave an example of a novice monk at Valaam Monastery, who could not take any more of the Monastery without the internet, and "escaped"! "All new phones and tablets are a great temptation, especially for young monastics. There are many cases here in the Monastery, but also in the others I mentioned," said the Abbot. In closing, the Bishop and Abbot of Valaam Monastery stressed that "the Abbot has responsibility over the monastery," and spoke of a contemporary monasticism without genuine spiritual truth.